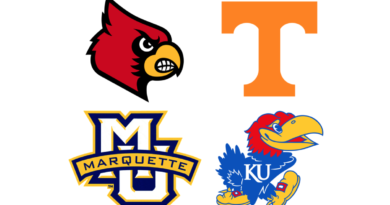 Jayhawk fans should be thrilled after watching the 2014 McDonald’s All-American game. 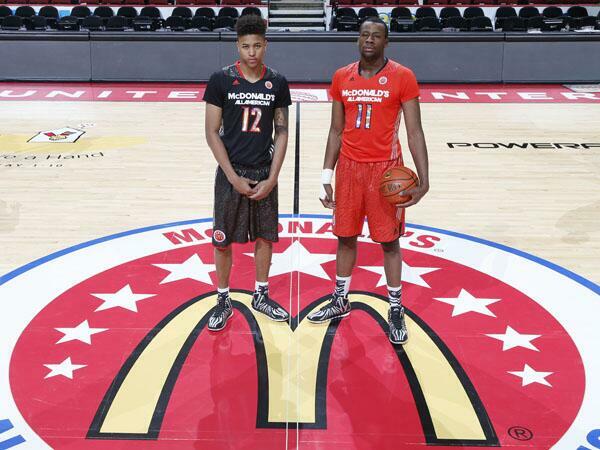 Kelly Oubre (West) and Cliff Alexander (East) both put up impressive performances. Photo: AP. 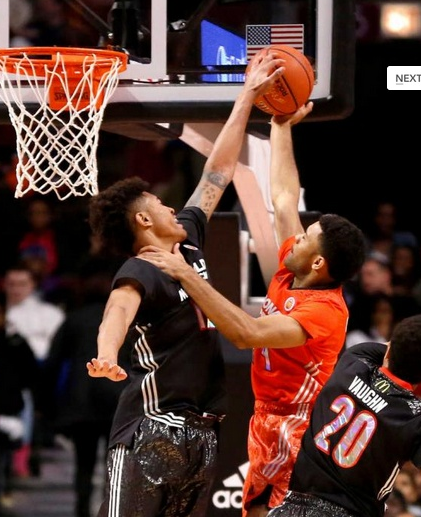 McDonald’s West All-American Kelly Oubre, left, a Kansas signee, blocks the shot of McDonald’s East All-American James Blackmon Jr., during the first half of the McDonald’s All-American boy’s basketball game Wednesday in Chicago. Kelly Oubre Jr, a small forward who is likely to start for Kansas next year, finished with 11 points, seven rebounds, two steals, an assist, and three blocks. Oubre played great defense all night and if his shot fell (3-for-13 from the field, 0-for-5 from three) he probably could have ended up as MVP. Okafor won MVP for the West and he only had 17 points. Oubre was aggressive and had five free throw attempts and drained them all. 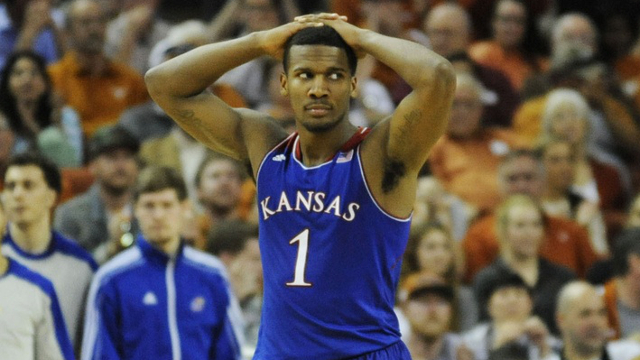 No one else hit more than two free throws. Oubre also sealed the game with two free throws with 19.1 seconds left, as the West won 105-102. Cliff Alexander scored nine points and grabbed 11 rebounds for the East. Alexander was 4-for-11 from the field but he played with a hurt hand (which occurred during the dunk contest), which caused him to go up with only one hand when he could have used two. It was obvious the hand was bothering him. Alexander was the only player with double figures in rebounds. He also had one assist and one blocked shot.